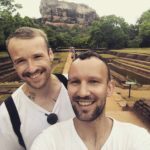 On the 19th of June I started another adventure spending all night at the airport in Dubai waiting for a flight to Sri Lanka. To Colombo the capital of Sri Lanka we arrived next day. 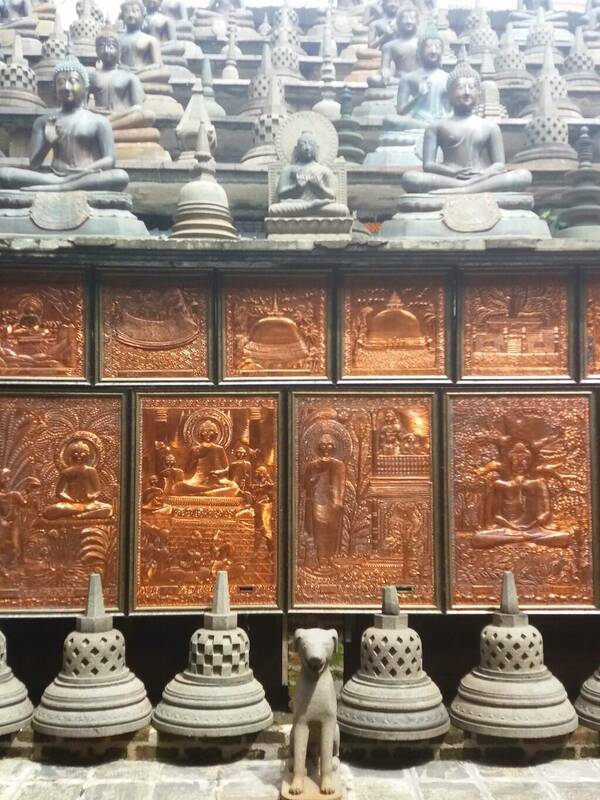 We exchanged the currency at the airport and purchased local fixed-line telephone cards which was useful during our trip. 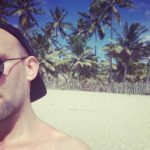 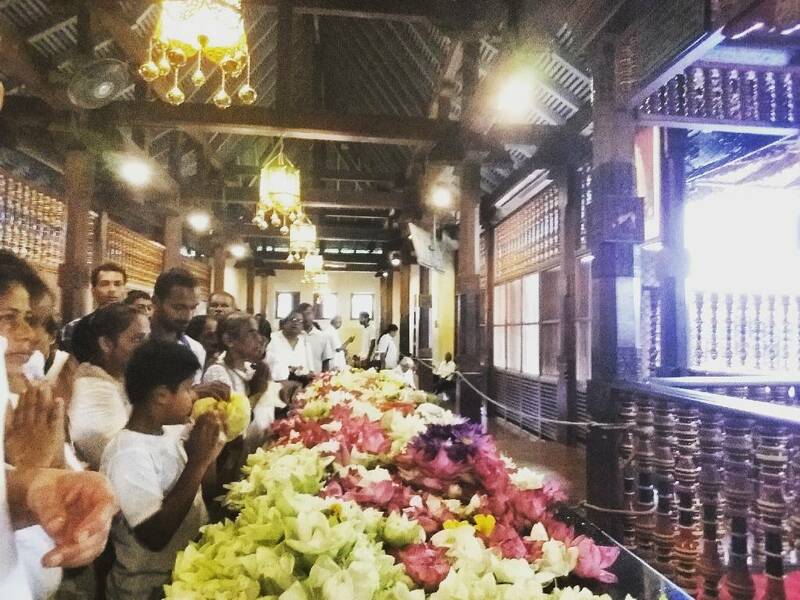 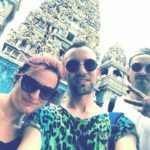 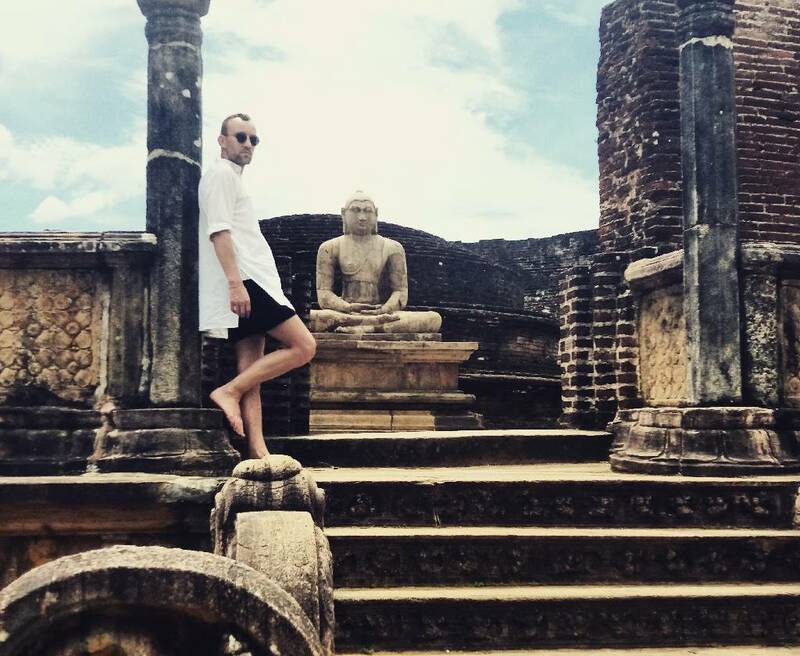 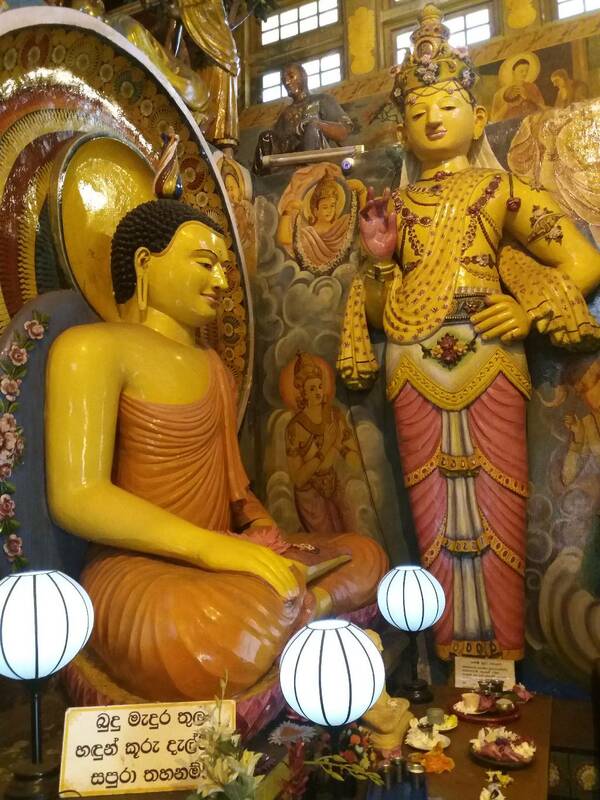 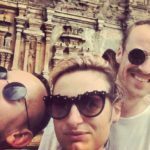 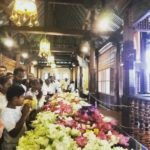 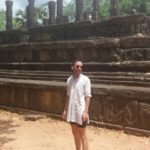 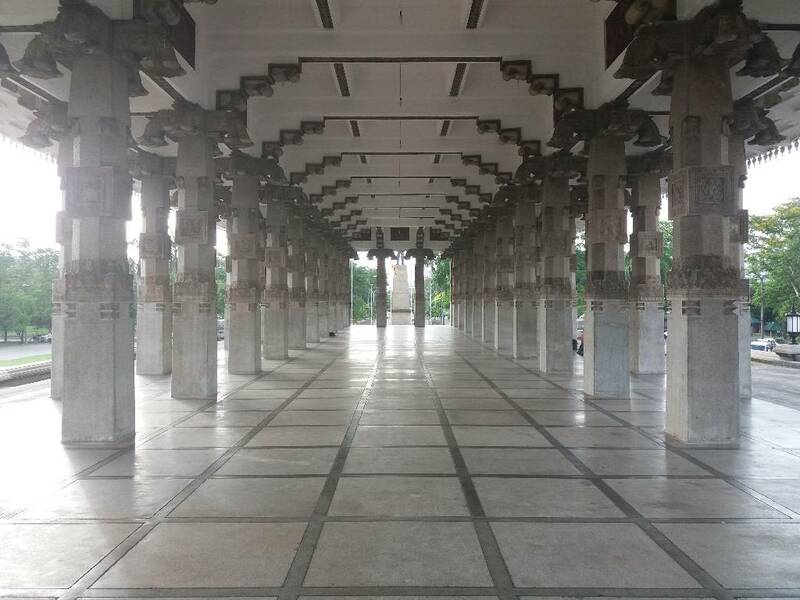 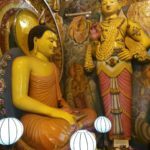 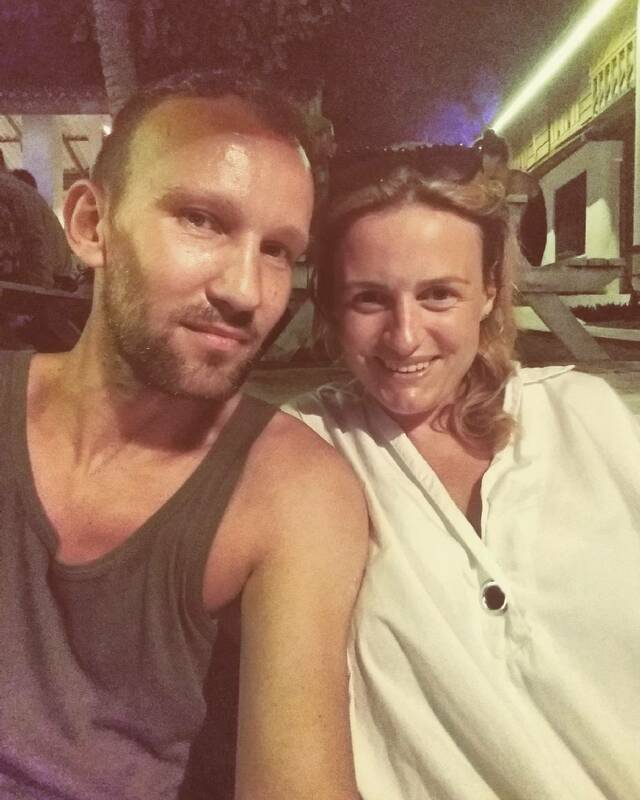 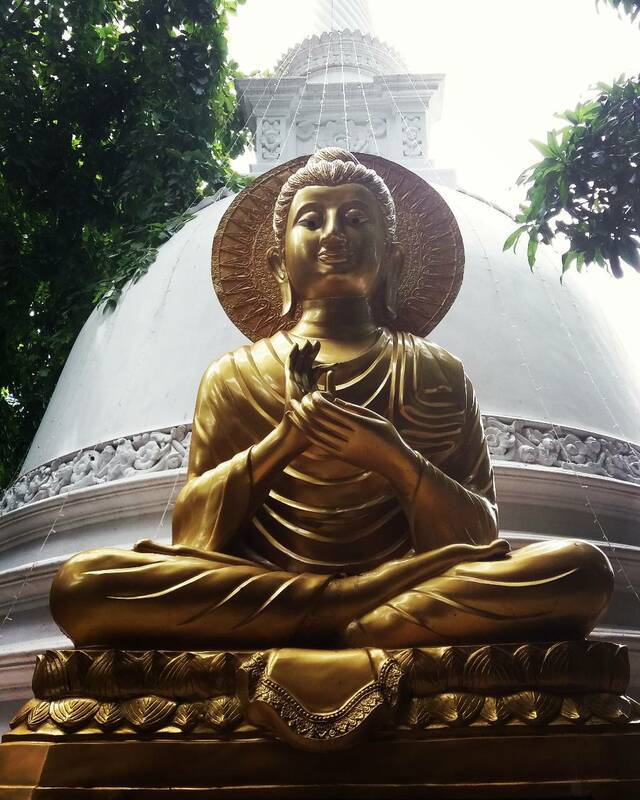 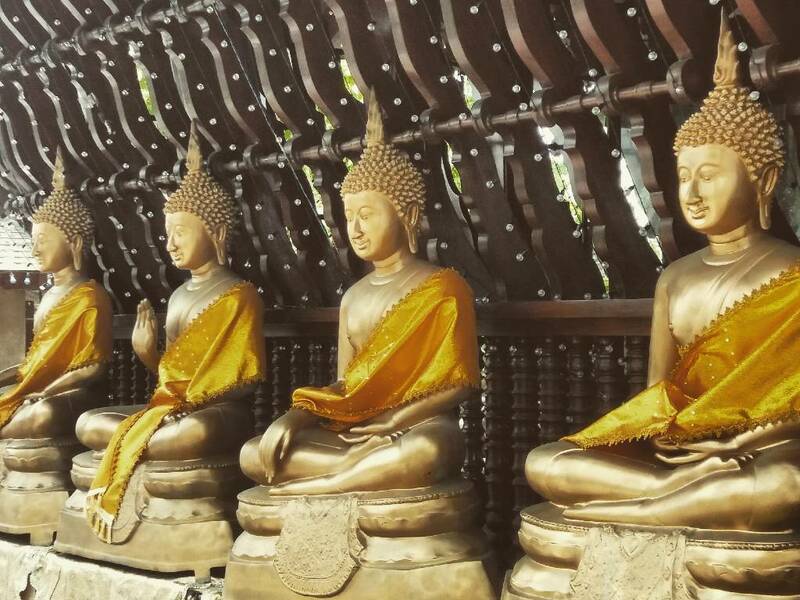 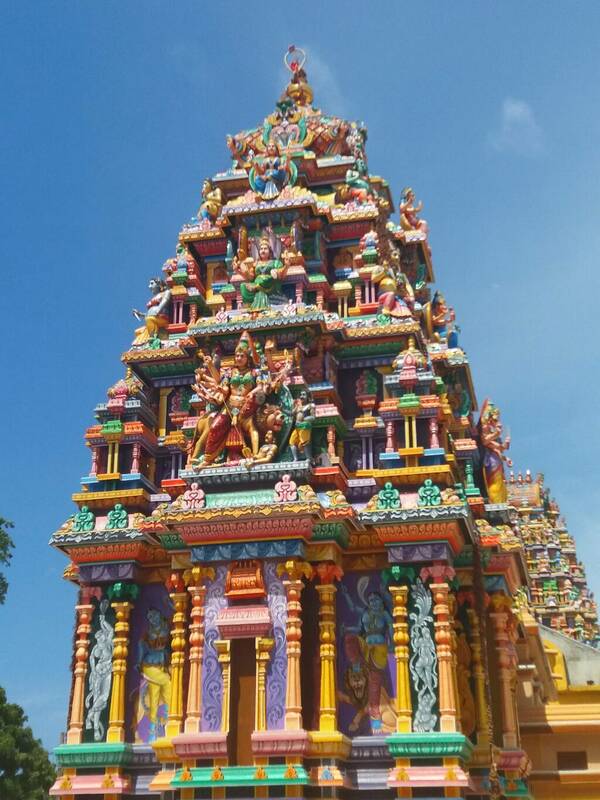 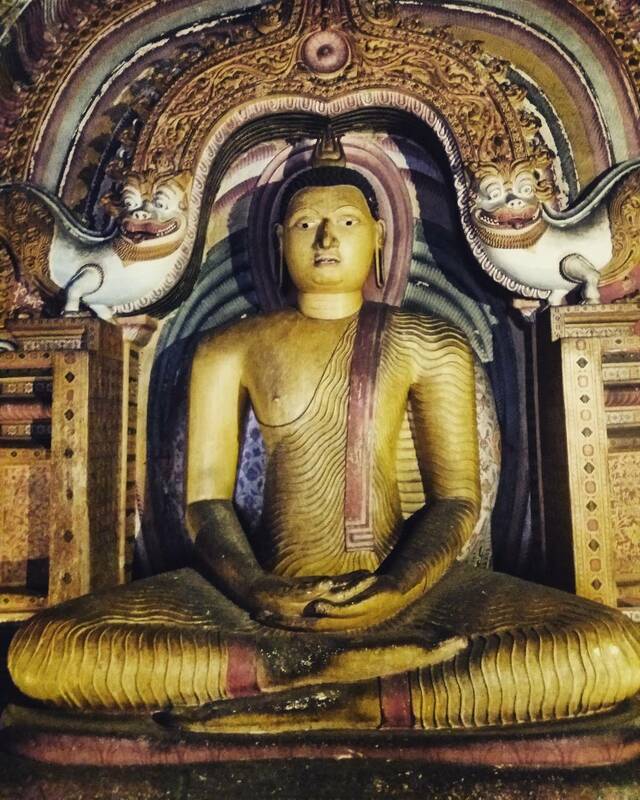 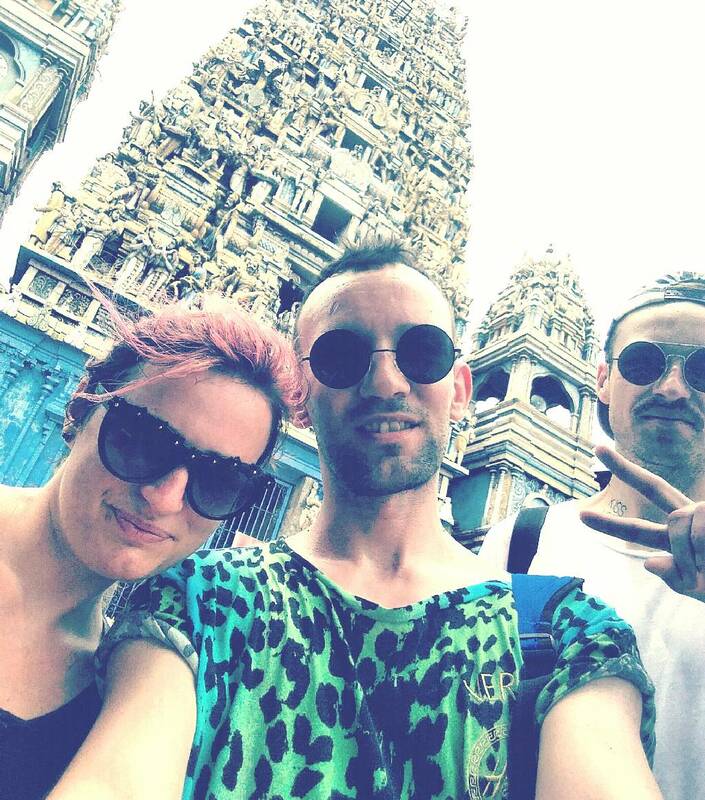 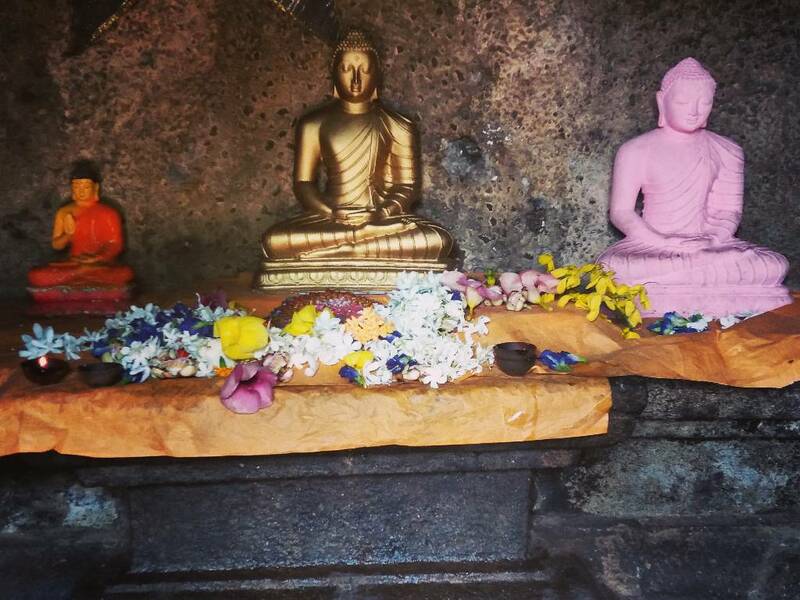 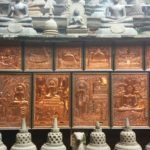 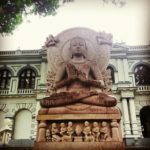 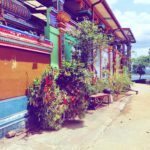 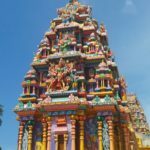 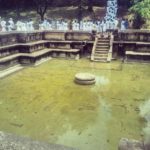 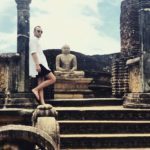 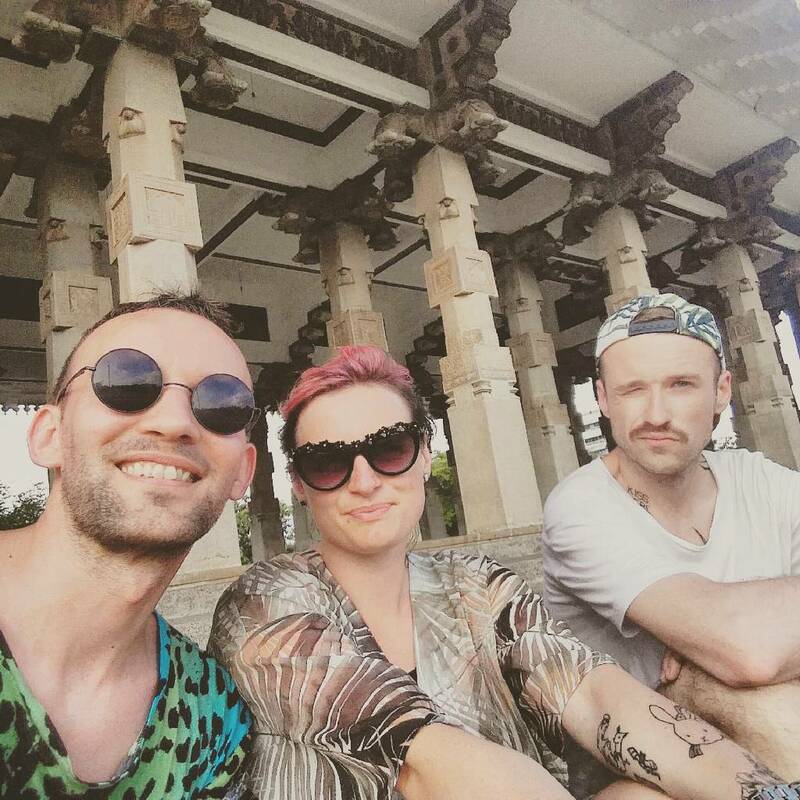 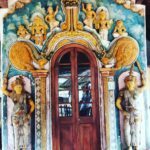 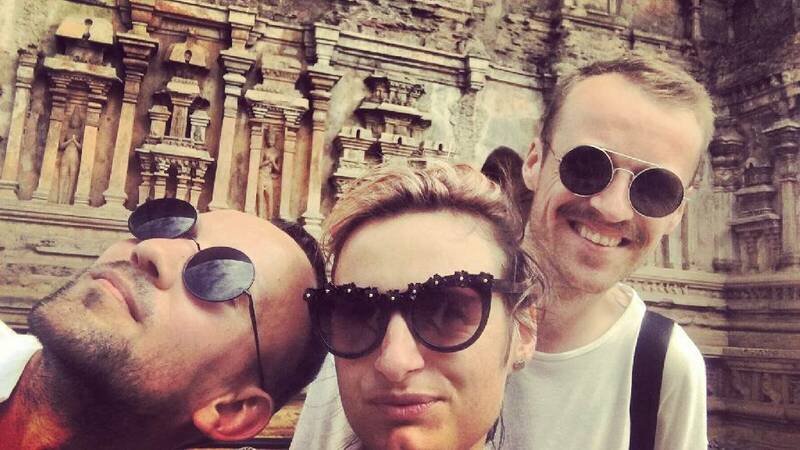 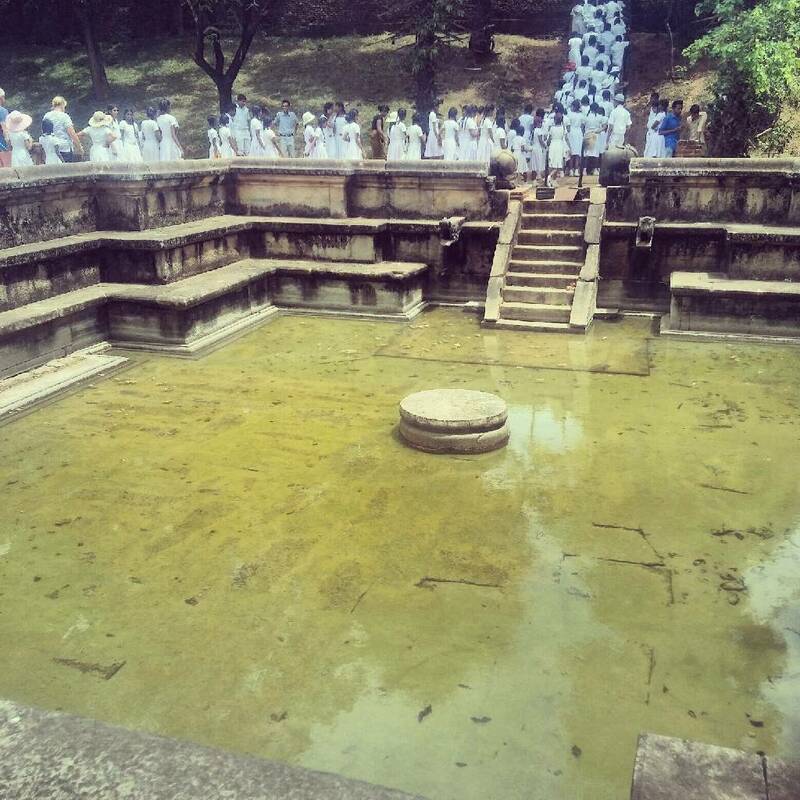 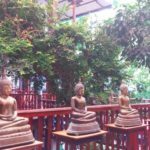 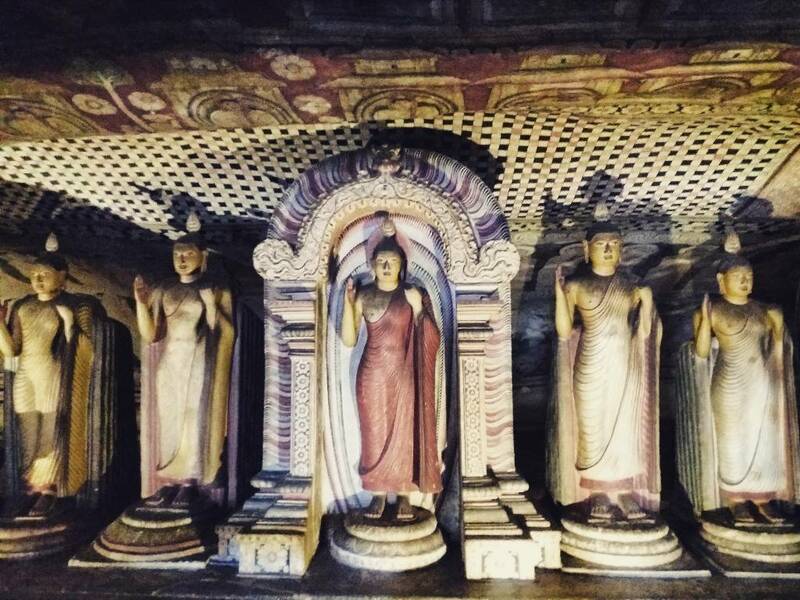 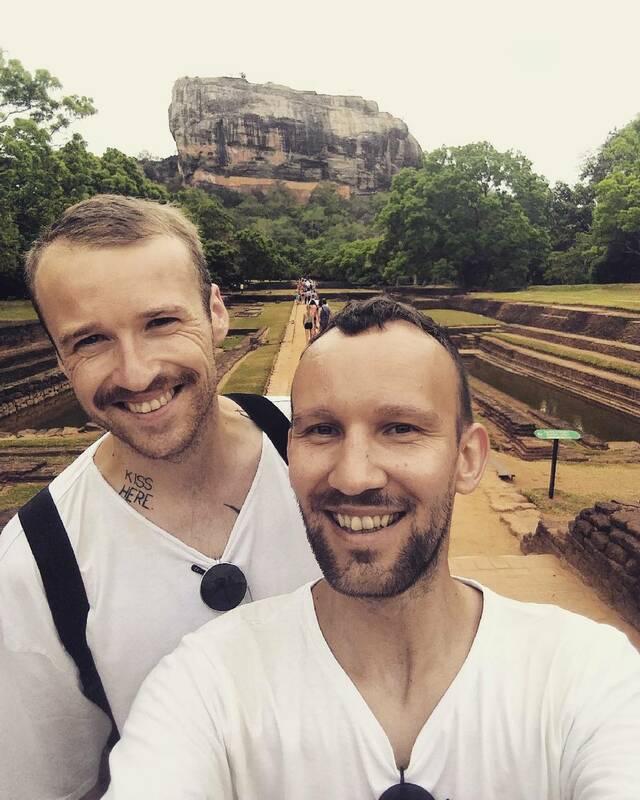 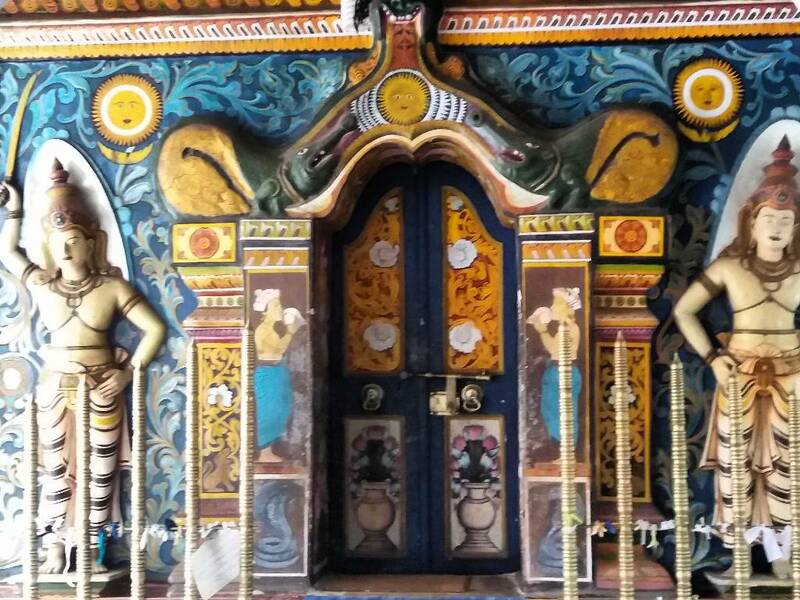 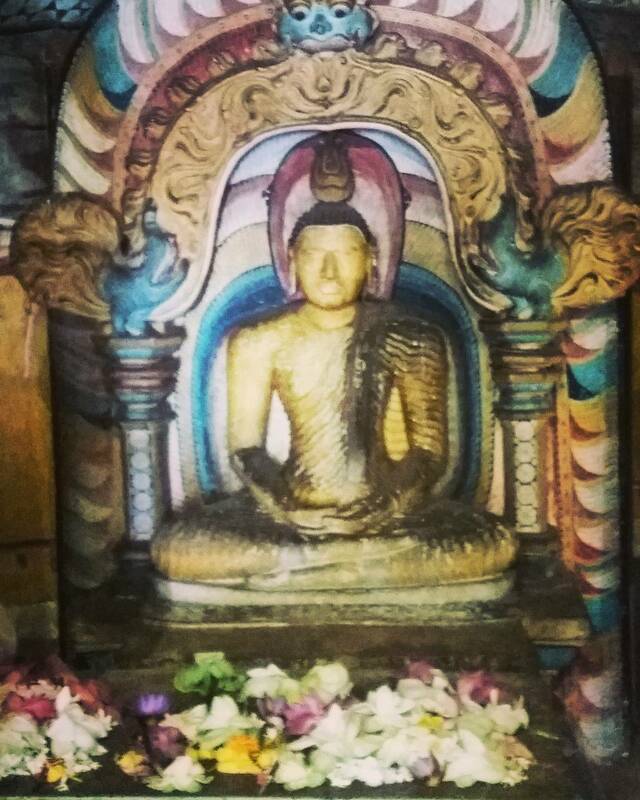 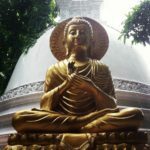 We spent one day in Colombo visiting the Buddhist temples (Seema Malaka, Gangaramaya). 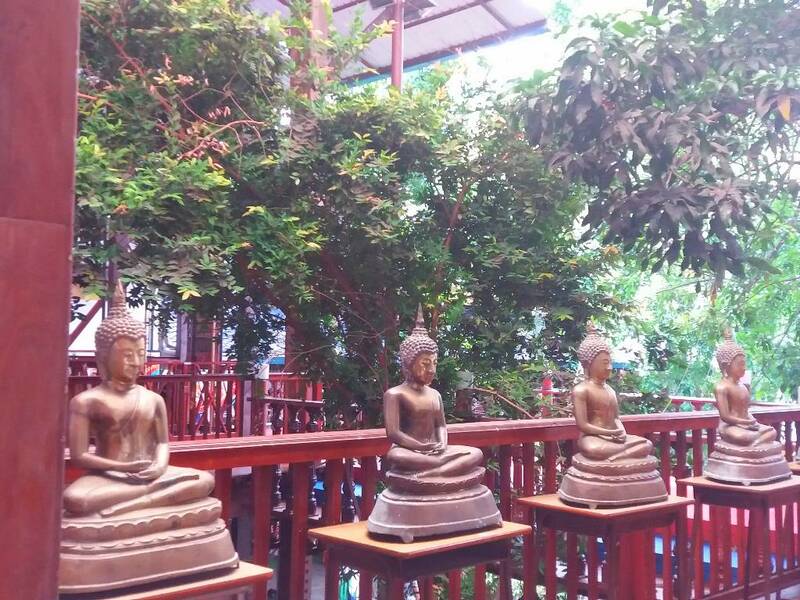 The city is terribly crowded and loud, so you have to get away from here. 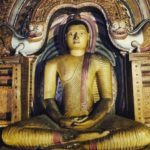 On the evening of the same day, we took the 3rd class train to Trincomalee. 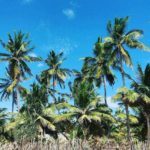 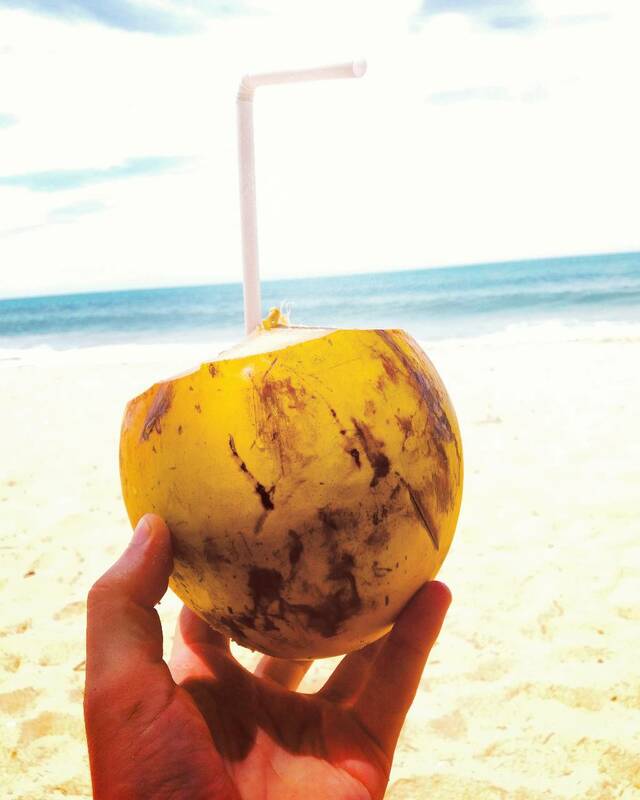 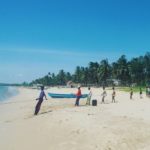 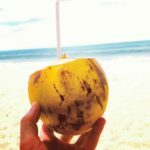 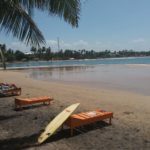 We chose the peaceful beach in Uppuveli on the Indian Ocean, which is the best place to rest. 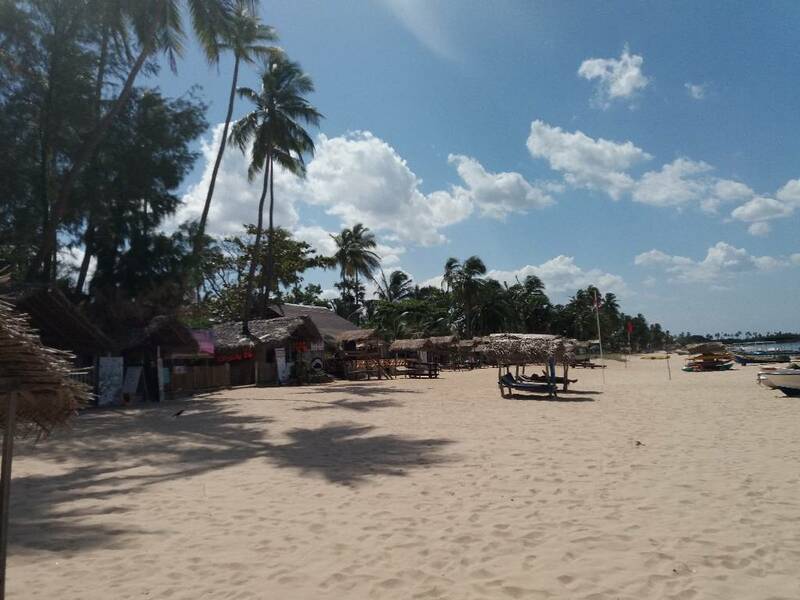 Since the morning we were lying on a deserted beach without doing anything. 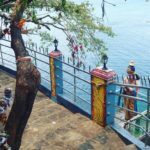 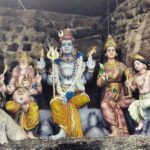 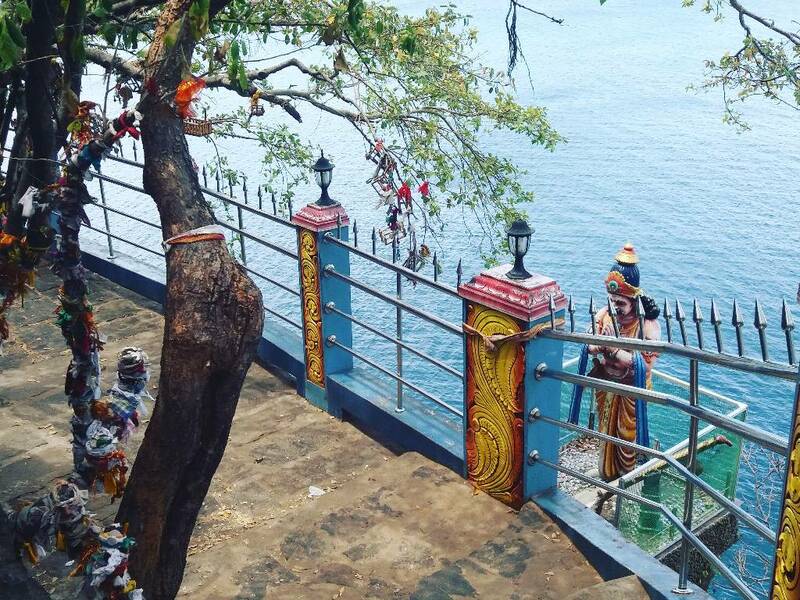 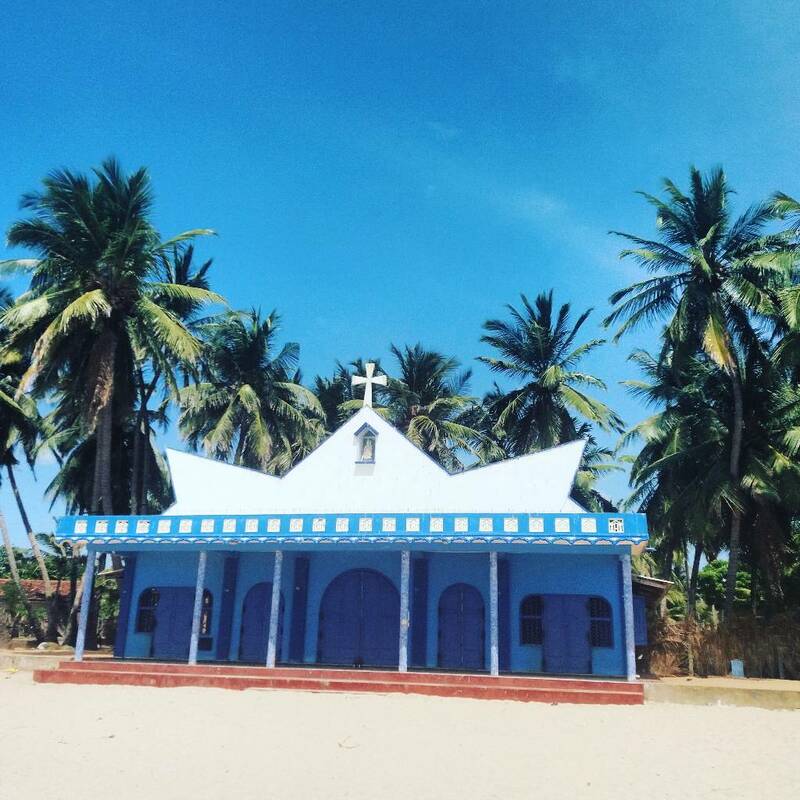 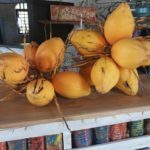 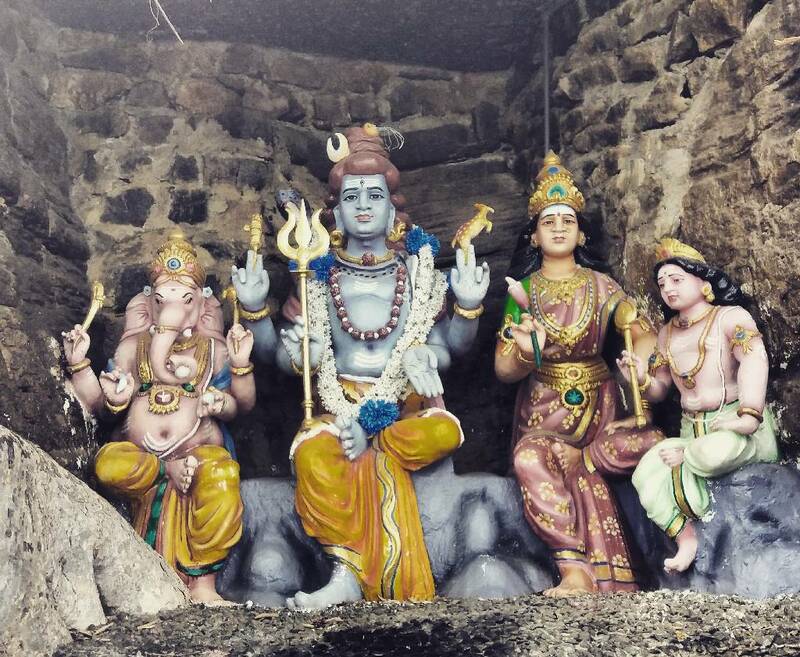 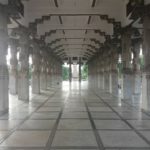 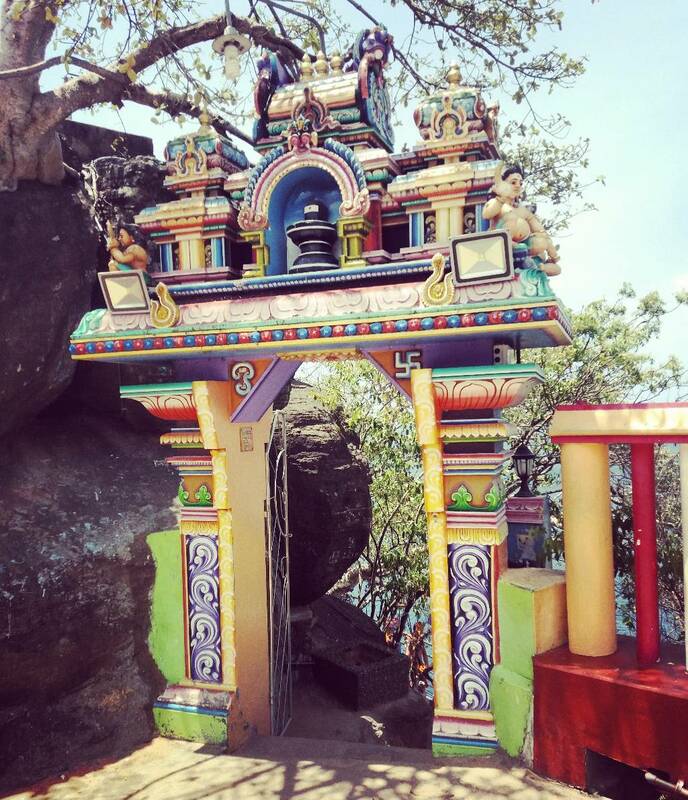 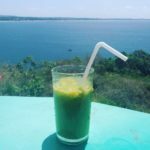 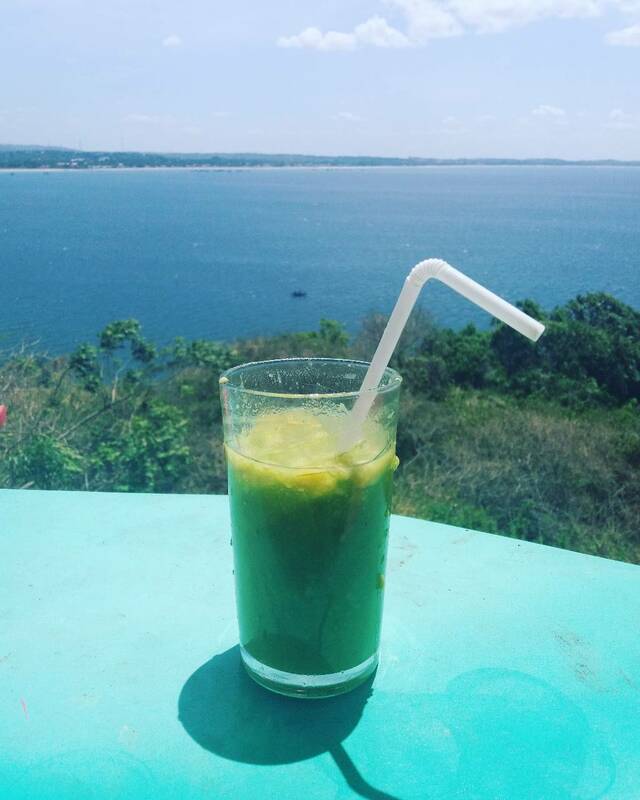 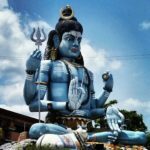 The next day we went to the edge of the ocean to Fort Frederick, where at the end of the promontory is one of the most important Hindu temples on the island with the great blue dowry of Shiva and many smaller temples covered with all the colors of the world. 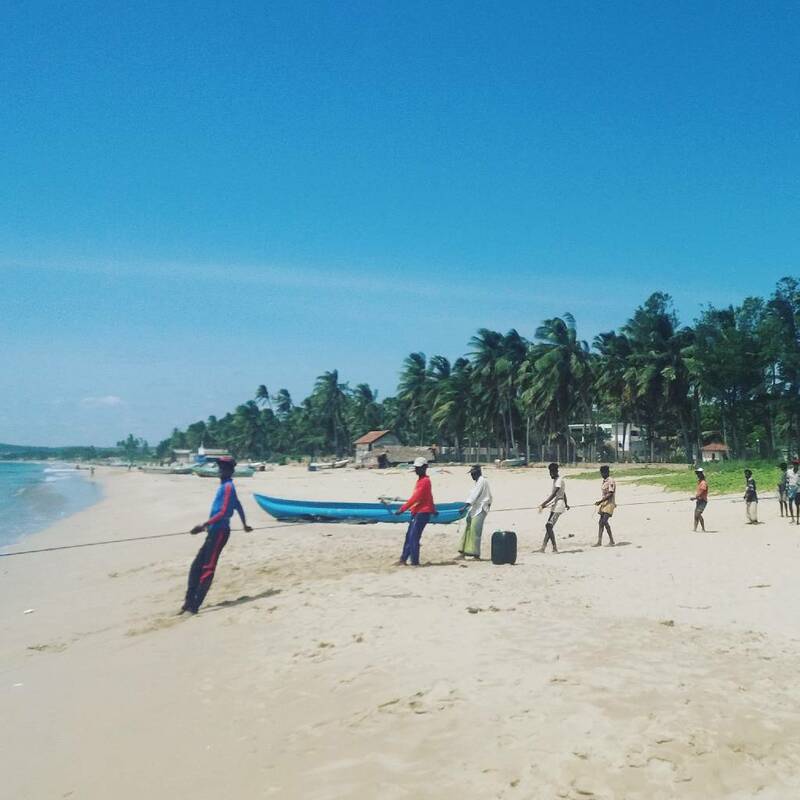 After two days spent on the beach, we set out on a journey. 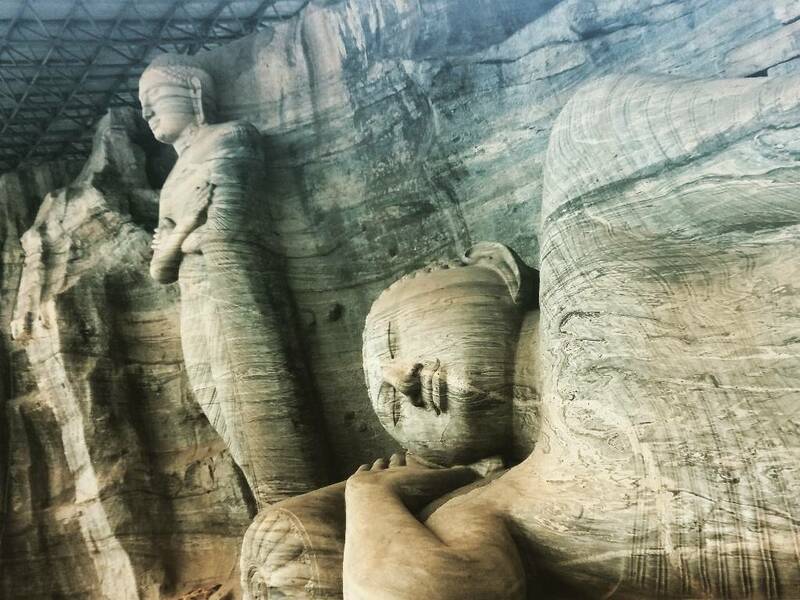 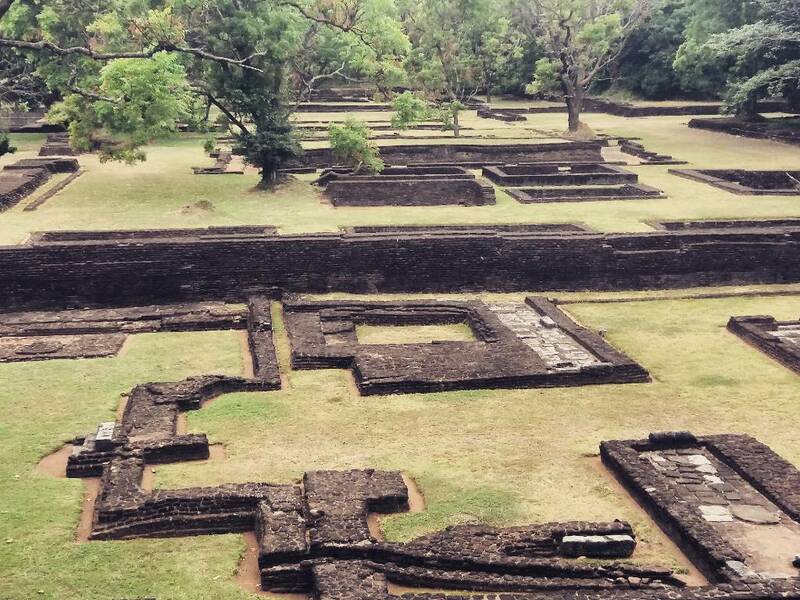 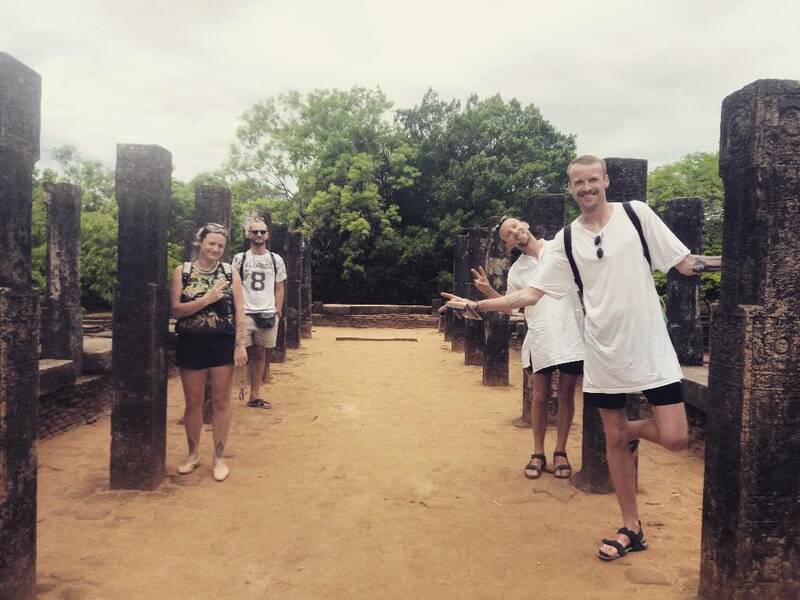 We reached the ancient city of Polonnaruwa. 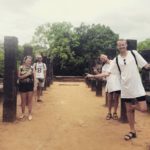 It was necessary to use a car with a driver – guide which made it easy for us to explore the ruins of the city. 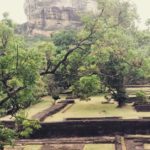 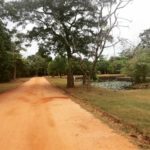 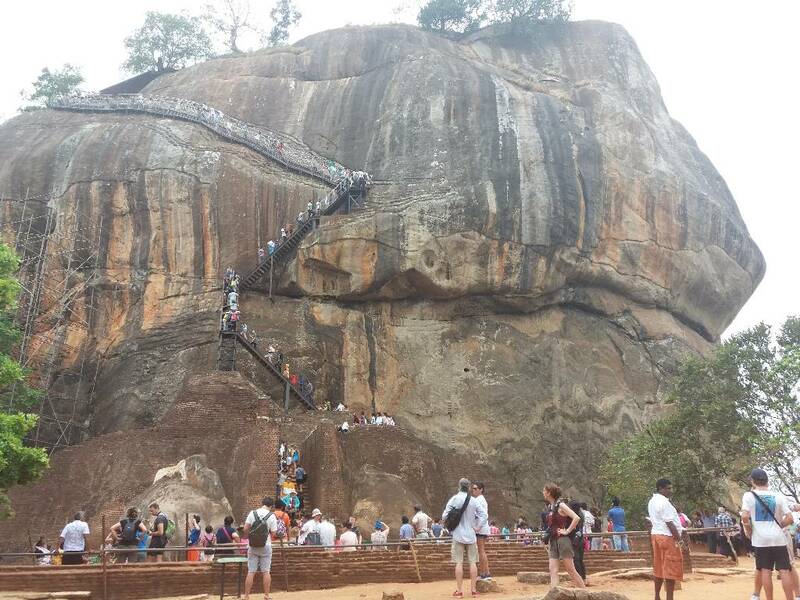 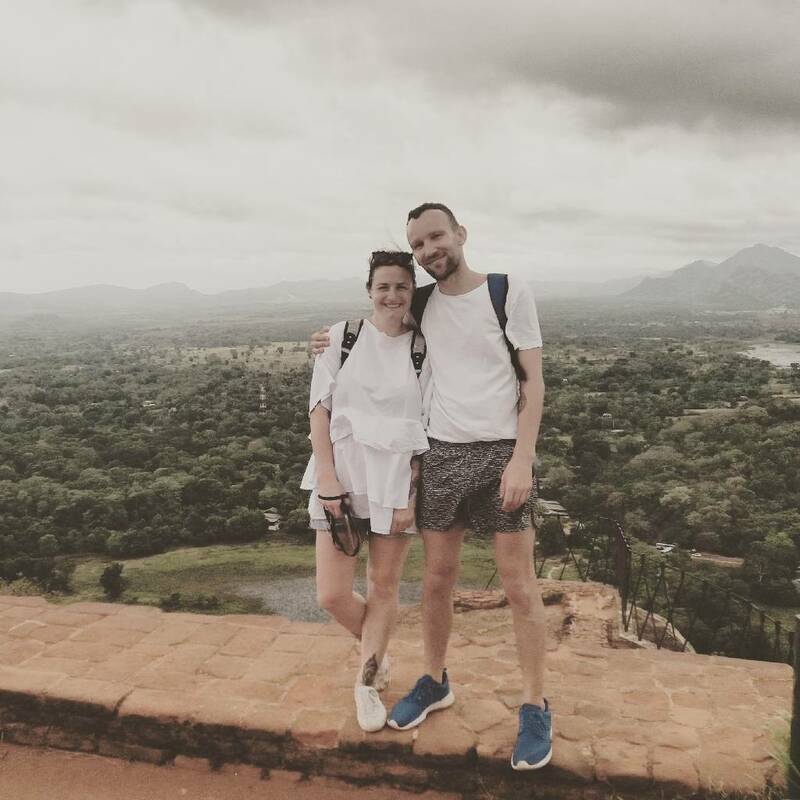 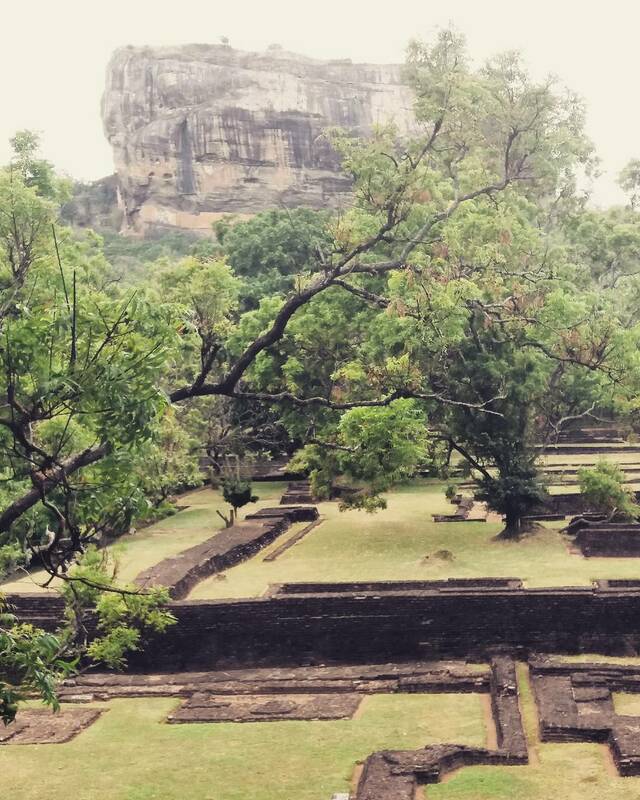 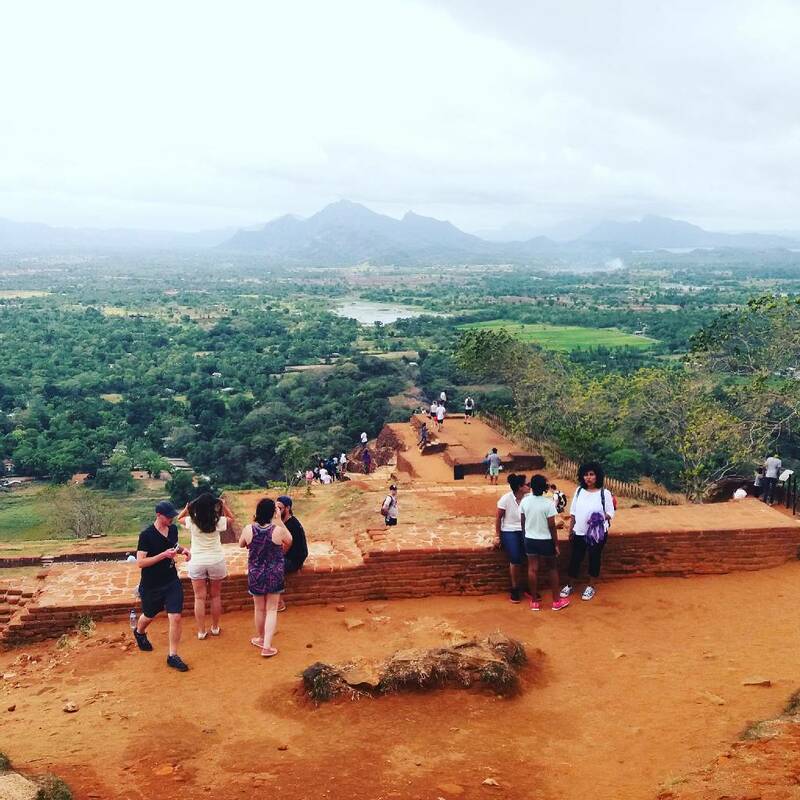 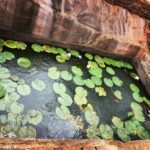 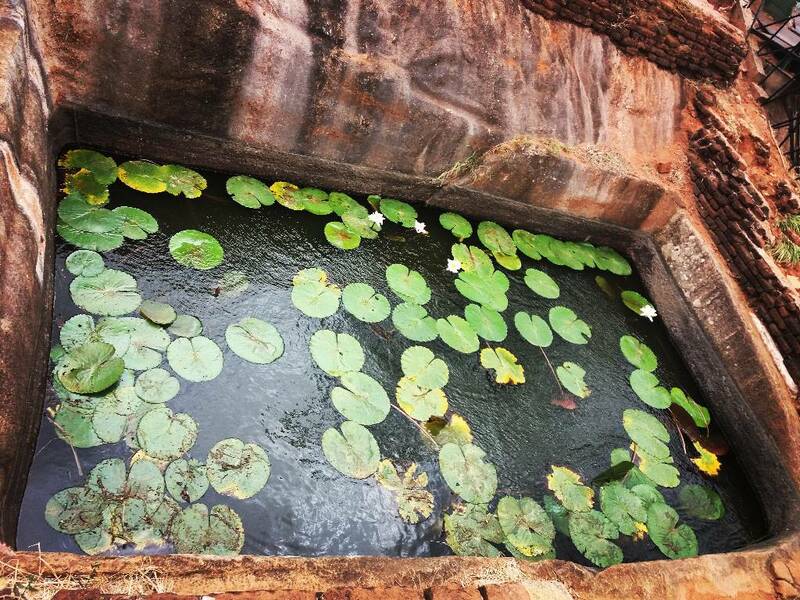 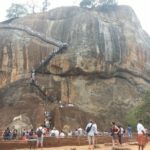 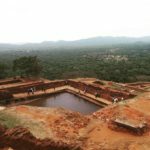 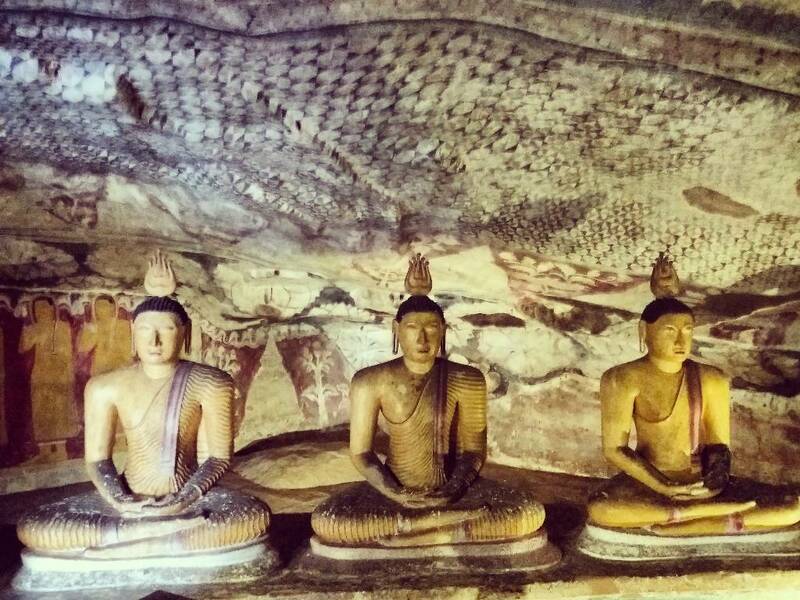 The next stop was Sigiriya, located at the heart of the island, a rock 160 m above the plain. 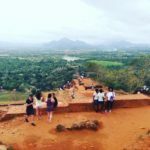 The weather was perfect for climbing, which made it quick and easy to climb to the top of the ruins of the royal palace. 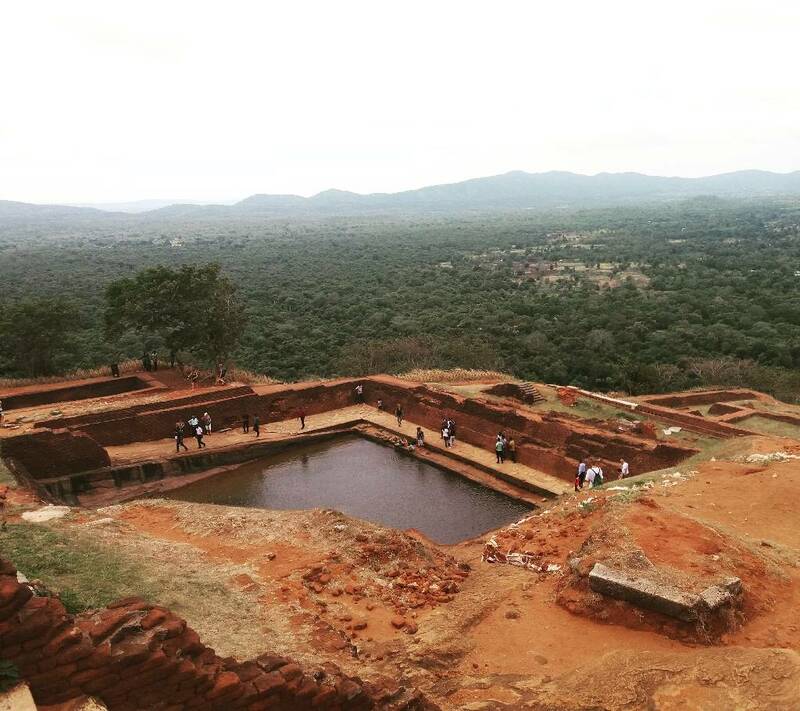 The view from above was stunning. 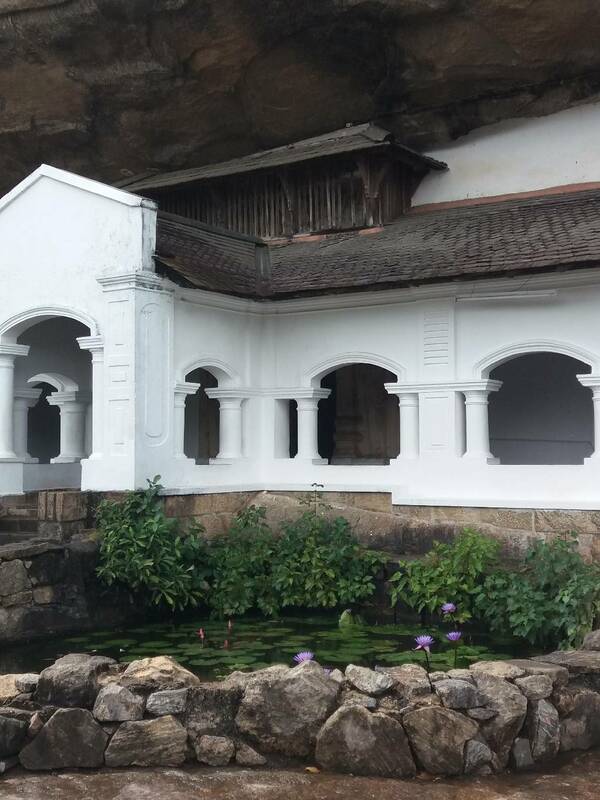 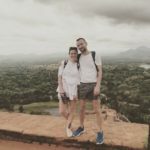 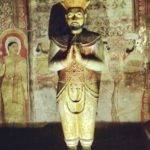 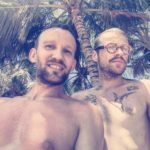 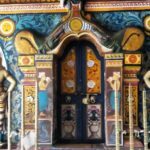 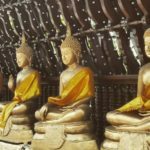 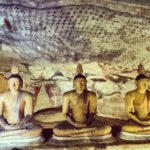 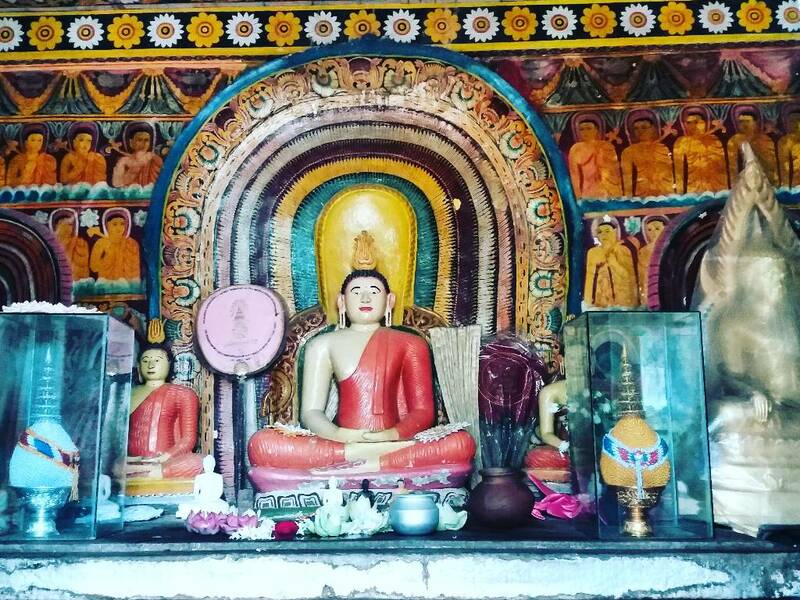 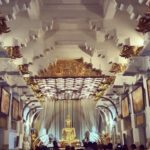 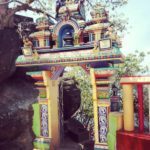 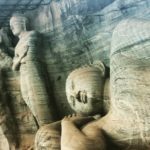 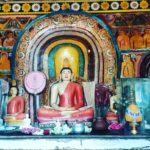 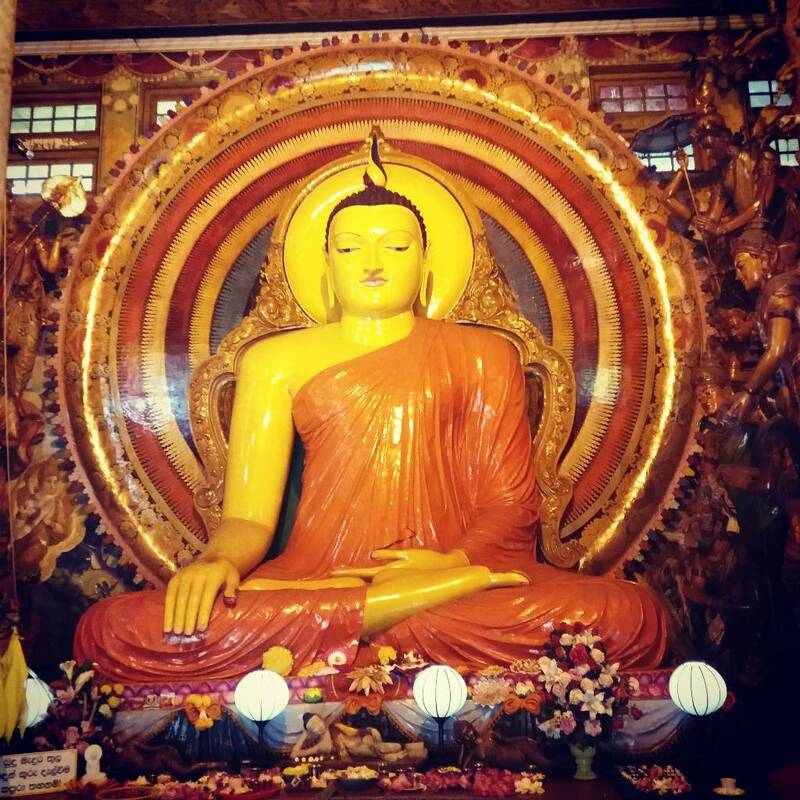 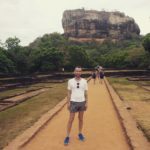 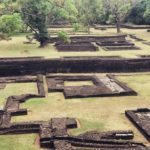 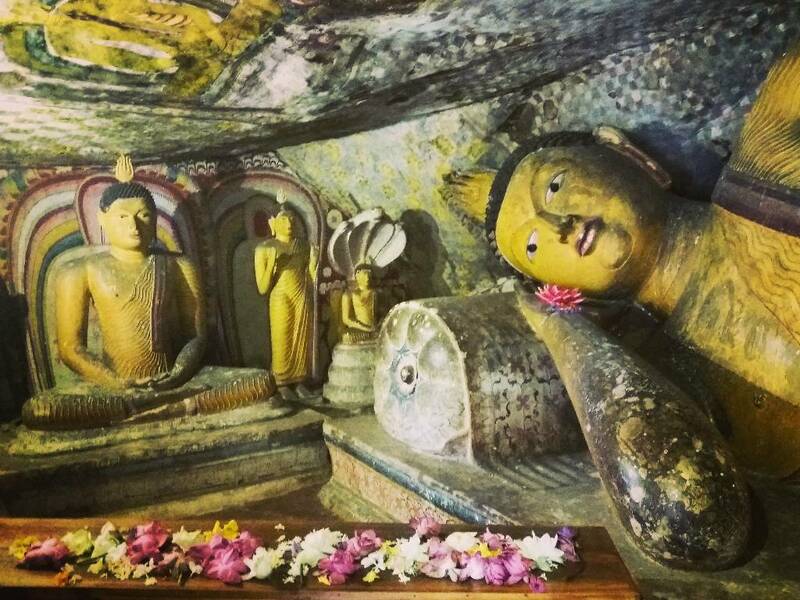 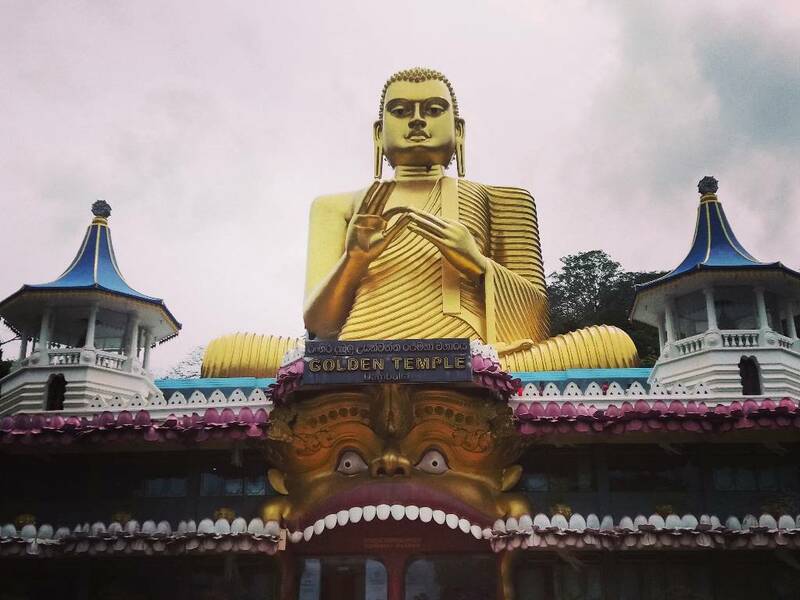 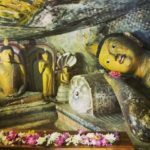 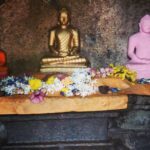 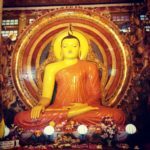 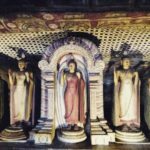 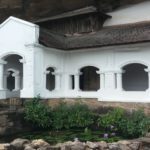 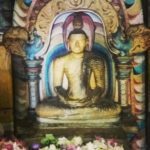 After descending from the mountain we took a bus to Dambulla where we visited the Golden Temple, which consists of five magnificently decorated rock temples, where there are 150 Buddha statues. 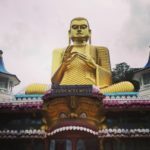 On the same day we took the bus to Kandy. 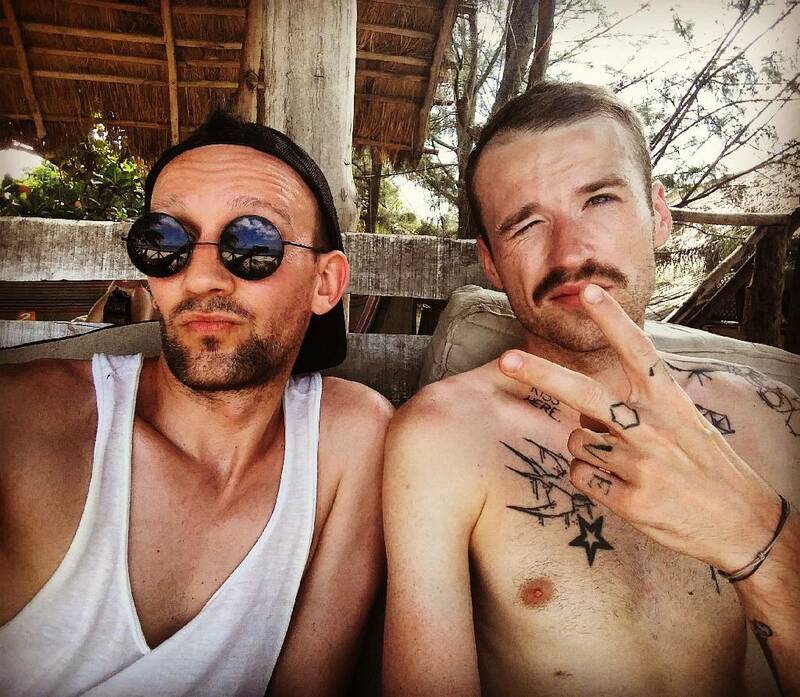 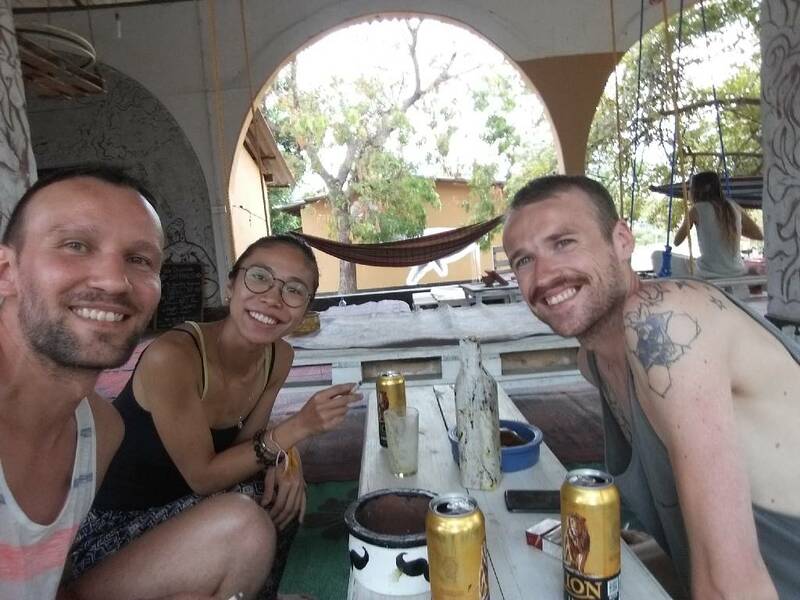 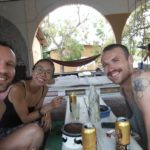 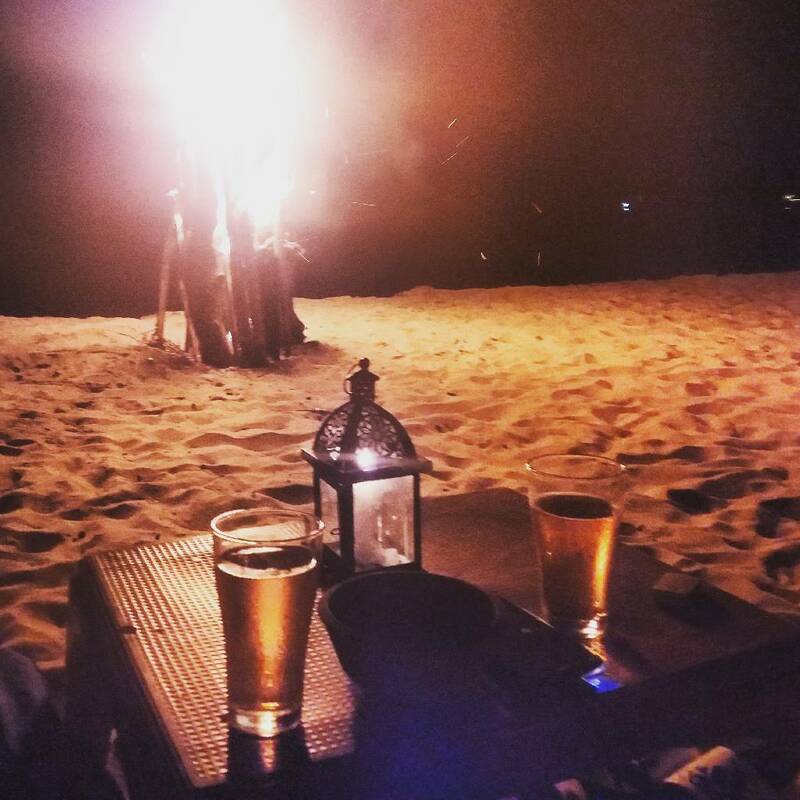 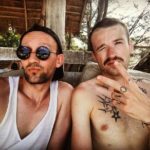 We stayed in a hipster hotel where we were greeted by local smoking and cold beer. 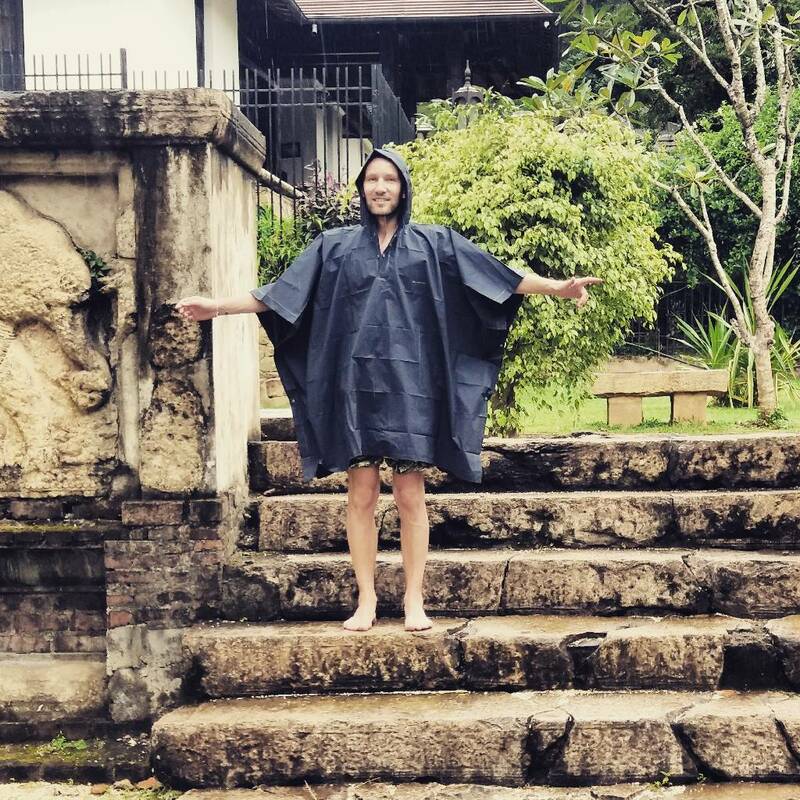 The second day in Kandy the weather was rainy, but we were prepared for it. 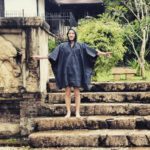 Raincoat is important to take on Sri Lanka. 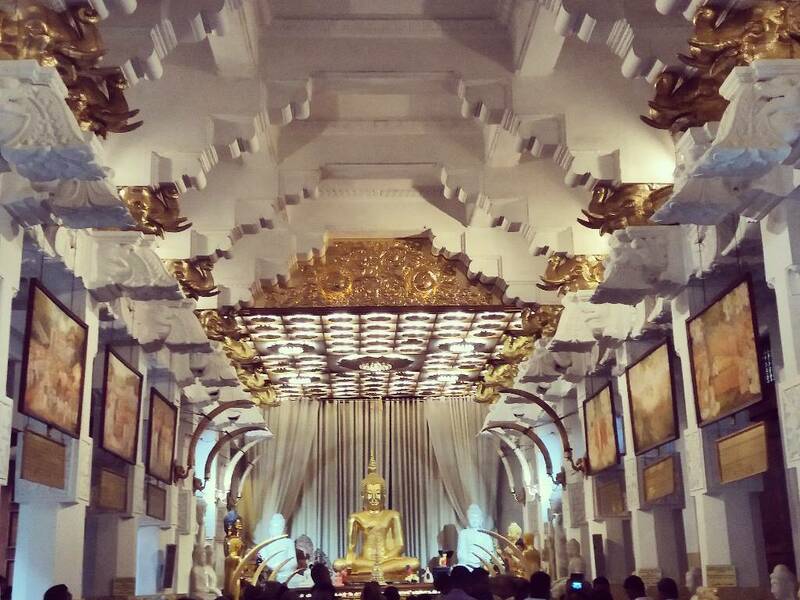 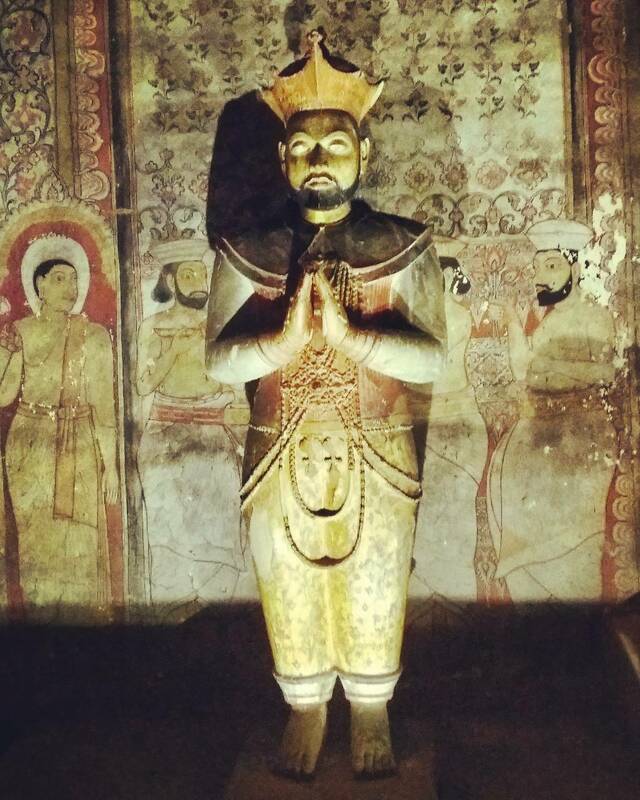 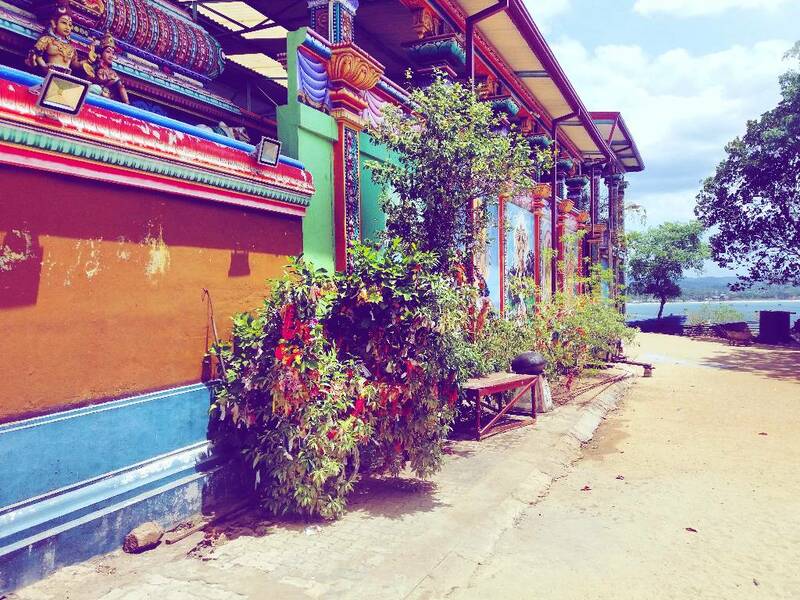 We visited the Buddha’s Tooth Temple which is the most important place of Buddhist pilgrimage from all over the world. 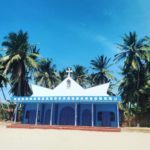 In the morning of the next day we landed on the Arugambay coast. 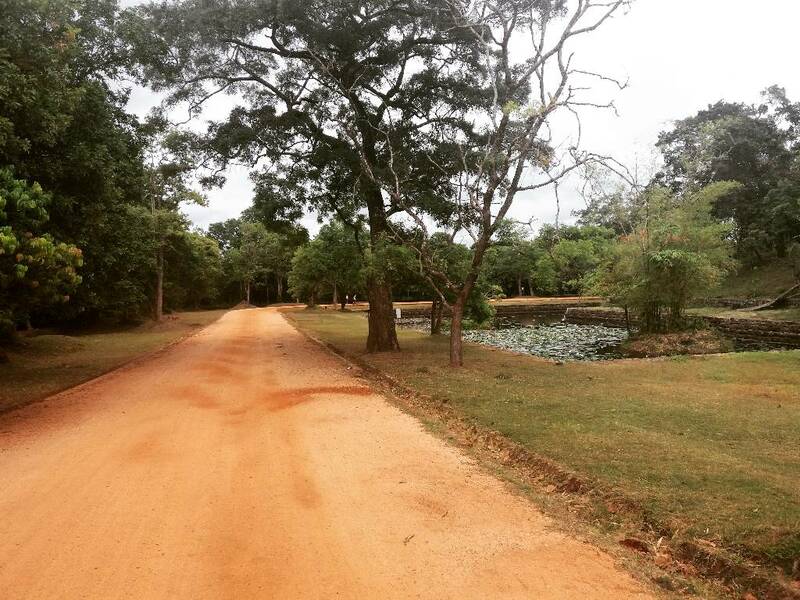 We chose this direction because of the monsoon occurring in Sri Lanka. 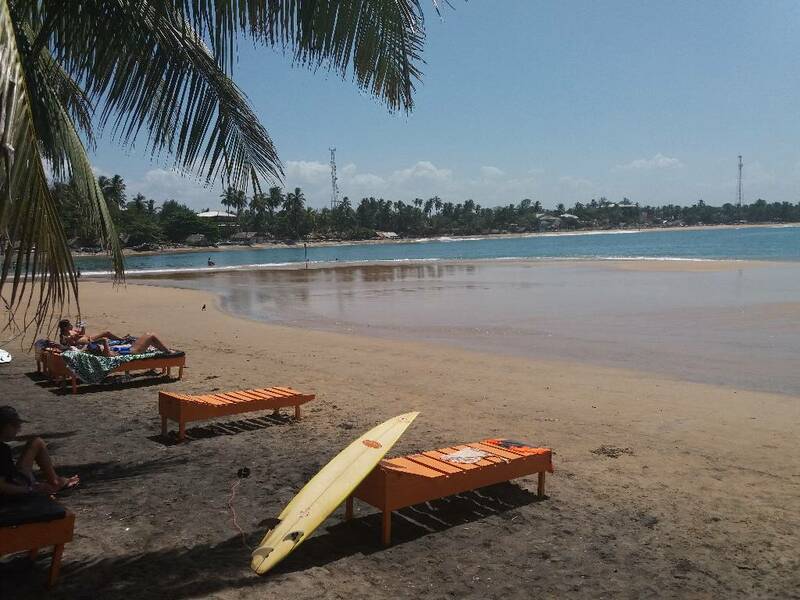 Western and southern parts are best visited from September to May, eastern and northern from May to September. 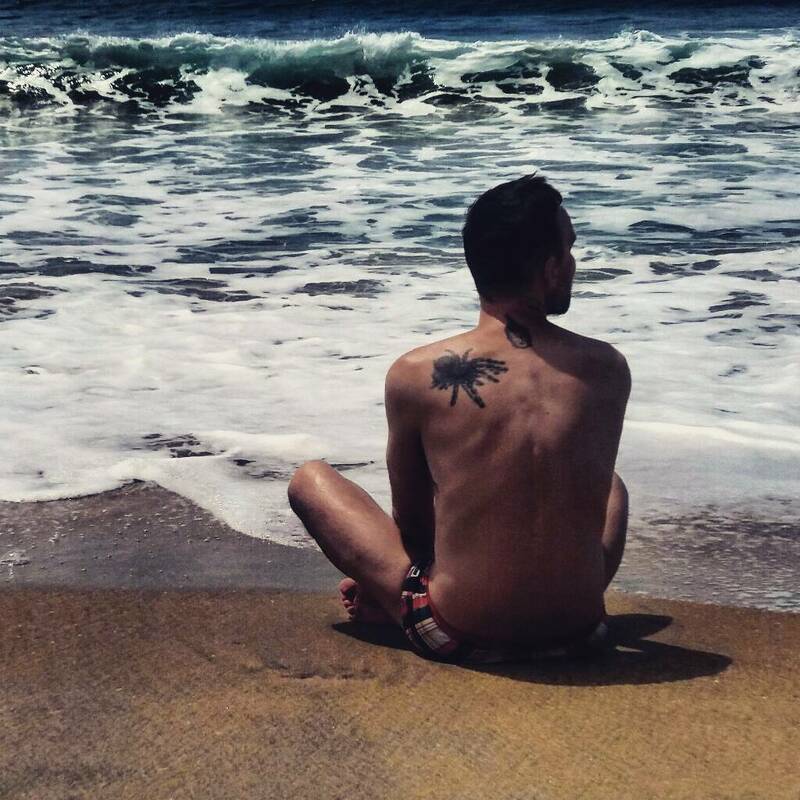 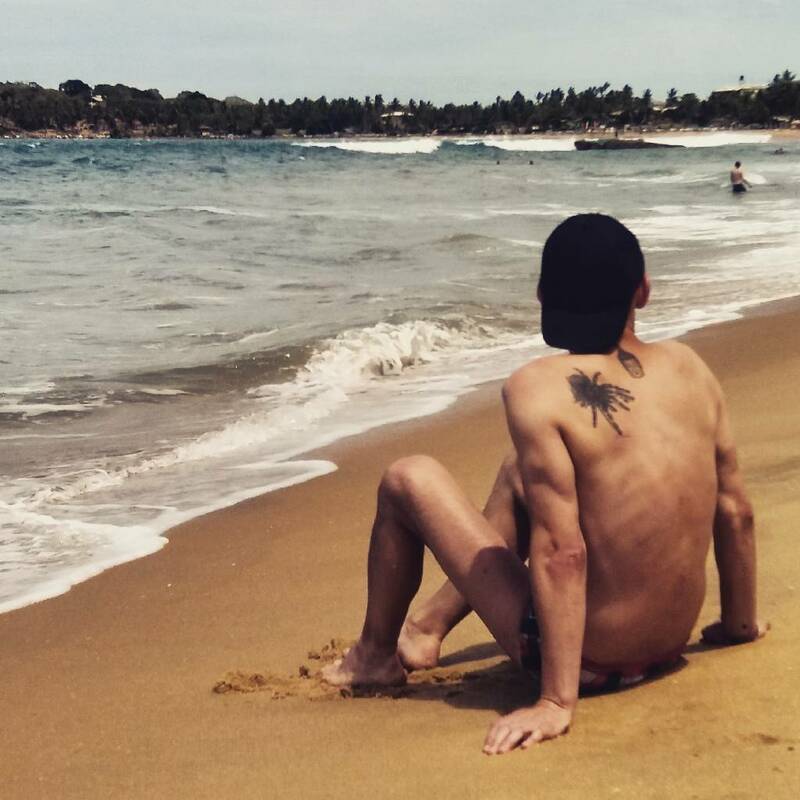 A few days we spent on the beach and swimming in the ocean with high waves. 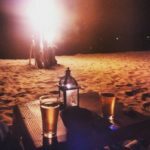 In the evening we tested local kitchen. 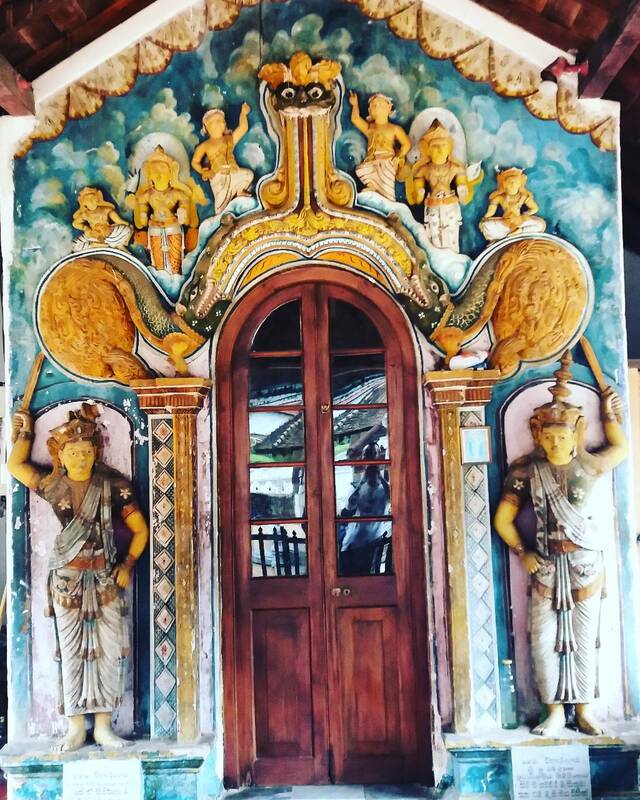 Last day we returned to Colombo from where we had a return plane. 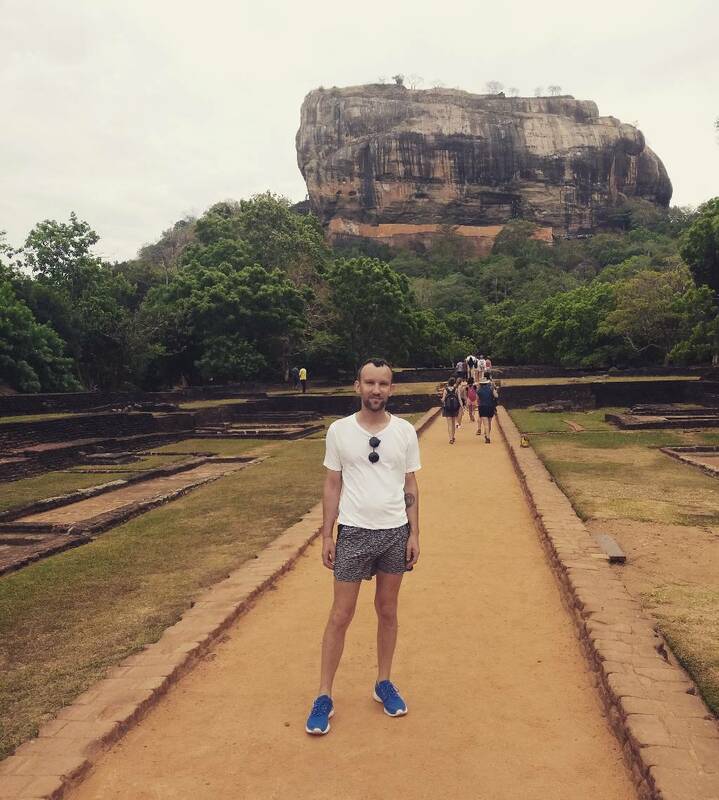 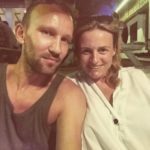 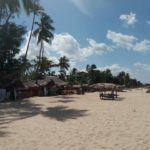 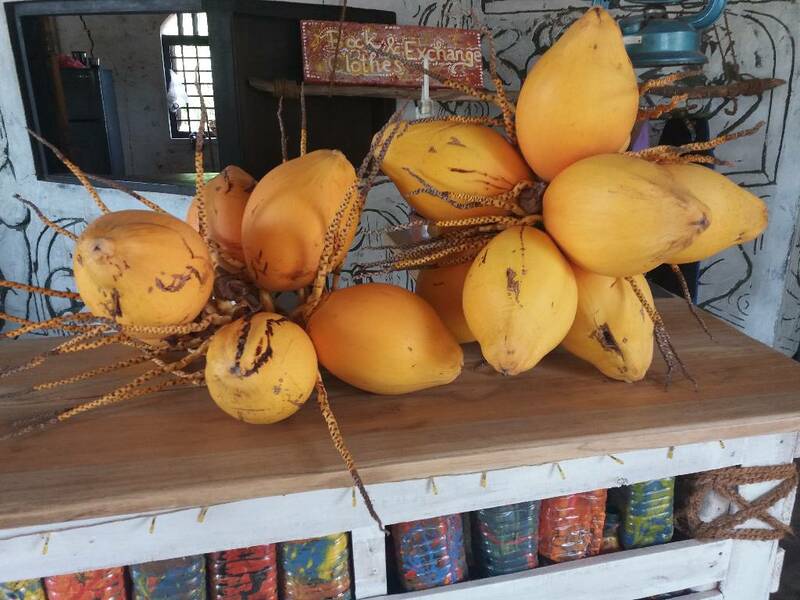 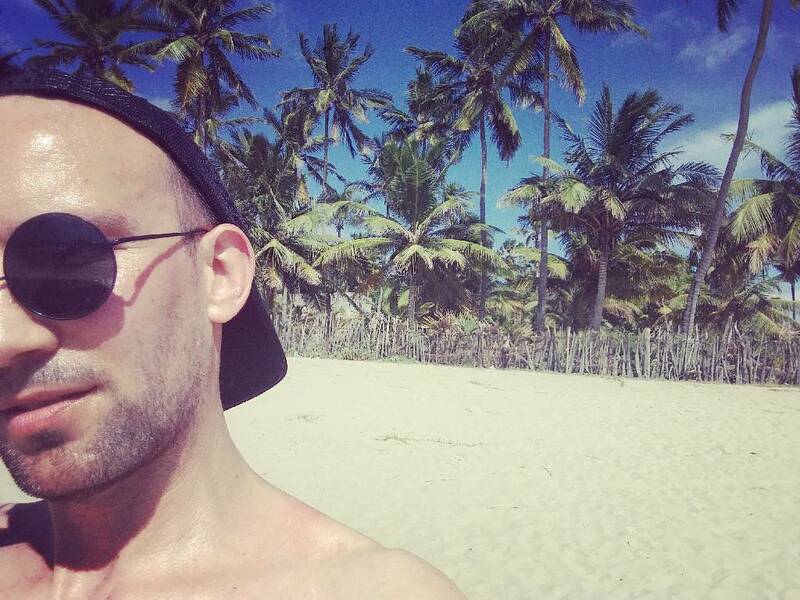 Sri Lanka proved to be the most exotic, colorful and peaceful place in Asia and the people are very friendly. 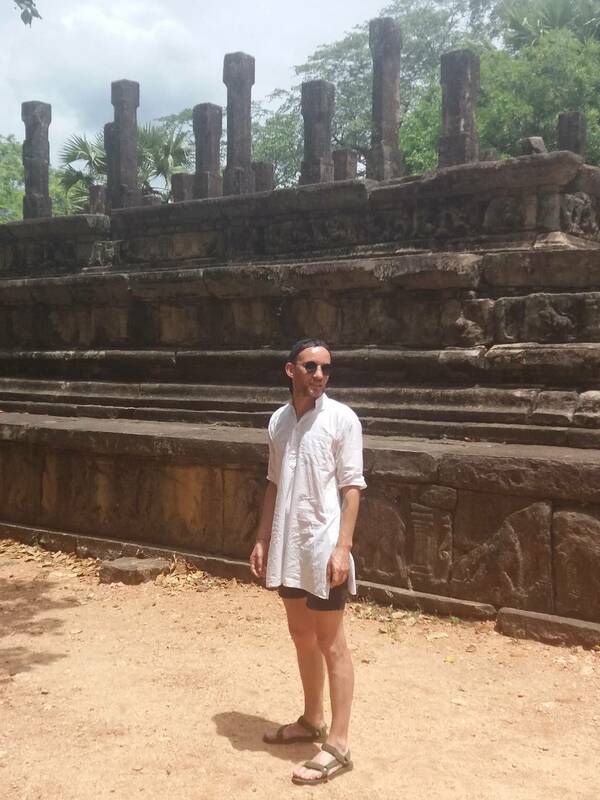 I can’t wait to come back here.